Whether you plan to retire next year, or in 20 years, planning is key to a fulfilling retirement. 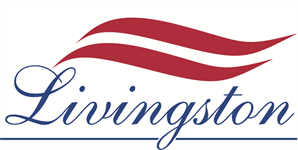 Here at Livingston Federal, the federal employee is our number one priority. Our knowledgable advisors take the time to meet with federal employees one-on-one to answer questions and provide timely, accurate advice. We break down the often confusing language of government benefits and retirement planning, to help develop a personalized retirement plan that meets the individual family’s short-term needs and long-term goals. We also ensure the plan and goals remain on track through periodic reviews. Our first step, in a relatively easy and painless process, is to work with you to provide a customized FREE BENEFITS ANALYSIS. Are you a federal employee and ready to start planning for your family's future? Whether you want a jump start on retirement planning, want to make sure you are maximizing your federal benefits, or just want to sit down with a knowledgeable advisor to ask some questions about your situation, please email us for more information, or call us at 800.752.8992.